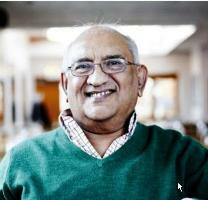 It is with great regret that SKAN wishes to announce the death of Basil DSouza in Hampton, UK, at the age of 83 years. Basil an early member of the SKA. Funeral Reception St Francis De Sales Church hall after the cremation. on the back of the cheque. 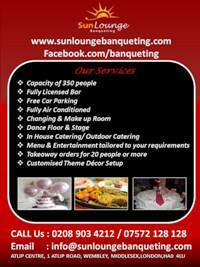 on Tel No 02035610214 to help with numbers to be catered. Allwyn Aranha. father of Arantes Aranha and brother of Leslie Aranha passed away on 9 January 2018. Heartfelt condolences to the family and friends of Felix D Souza who sadly passed away on Monday 14 November 2016 following a long illness. 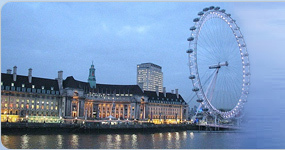 After founding SKA LONDON in 1979 Felix strived very hard as the first Chairman, to bring the Mangalorrean community together in UK. A talented artist, singer and actor Felix introduced community socials and outings to SKA LODON. He also started scholarships for poor students in Mangalore and was responsible for their success. Felix always offered support to many Mangalorreans coming over to UK with advice and pointing in the right direction for their success in UK. Felix is survived by his sons Glen and Nigel and daughters Fiona andd Nadia and grandchildren. Felix will be sadly missed but remembered as the co-founder of SKA LONDON. 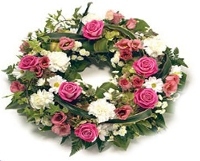 Cremation - 11.15 am at the West London Crematorium, Kensal Green, Harrow Road London W10 4RA. Followed by reception back at the church hall. Those attending may please reply to Fiona Lenton at fimikij@tiscali.co.uk so the family have the right numbers for catering. The funeral ceremony and Mass will be held at 11 am on Tuesday 1st December 2015 at St. Oswald s Church, Burghfield Common, RG7 3HQ. All who knew Austin are welcome. The cremation service will be private to close family of Austin. A Tribute of love from his wife Isabella (Bella), son Danny, daughter Tilly (children Mimi and Nico}, daughter Angelina (children Mani, Remy, Raphael). We are sad to announce the passing away of Donald D Souza, a staunch member of SKA. He died peacefully in his sleep in the early hours of Wednesday 4th November 2015, aged 87. He led a happy and active life to the very end. Donny’s funeral will be held on Monday 23rd November 2015 at 2pm in Mottingham, London. Entrance to crematorium is on Crown Woods Way, not A2 Rochester Way. For directions, use Crown Woods Way (not postcode) in Google Maps. The restaurant is close to Sidcup station, opposite the end of Hurst Road. There is a public car park behind the restaurant which is accessed via Old Farm Avenue. Mrs. Benedicta Fernandes, London (63yrs) originally from Mangalore passed away on 26th of October 2015. Our deepest condolences to her husband Michael Fernandes and his family. The funeral of Benedicta Fernandes of Preston Hill will be held at St. Erconwald s Parish, 112 Carlton Avenue East, Wembley, Middlesex HA9 8NB on Monday 9th of November 2015 at 10 am and will be cremated at the Golders Green Crematorium, West chapel, Hoop Lane, London NW11 7NL. 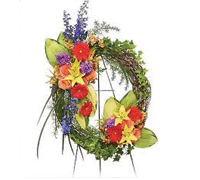 Funeral mass will be held on 9th November 2015 at St. Erconwald s catholic church. 112 carlton Avenue East. Wembley, Middlesex, HA9 8NB. at 10.00am. After the cremation, all well wishers may please get together at the local pub. Months mind mass will be held on 15th November 2015 at 12.15 pm at the RC Church of St Sebastian and St Pancras, 22 Hay Lane, London NW9 0NG. 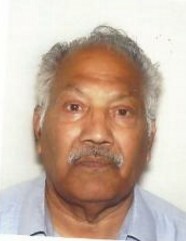 Please telephone Micheal Fernandes on 07438 316400 for any other information. It is with deep sadness that we bring you the news of the passing away of Emily Monteiro previously Colaco), on the 10th of September. Emily has been a member of the Association for a long time. She was an avid supporter and a much-loved member of the Assoication. We pray that her family get the strength to bear their grief during their difficult times. Emily born in Mangalore (Colaco) is survived by her daughter Petra Leveton. Emilys husband Wilfred had passed away about six years ago. There will be a buffet and drinks afterwards at The Ceremony Room. The City Pavillion Collier Row Road Collier Row Romford Essex RM5 2BH which is only a couple of minutes drive from the crematorium, and there is plenty of parking at the venue. 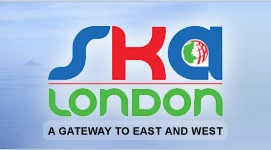 It is with deep regret we announce that Irene Nazareth who had been a long-time supporter and committee member of SKA LONDON passed away on 28 July 2015. Irene rose to become President of the association for many years, and dedicated considerable part of her retired life in bringing the community together. Irene will be sadly missed. We wish our heartfelt condolences to Irene’s family during this difficult time. The funeral will be on Tue, 4th Aug 2015, starting with the funeral mass at 10.30am in St Gabriel s church in South Harrow. If you wish to attend the funeral, please contact Gary Nazareth (Mrs. Nazareth’s son), who will provide further details. email address is garynazareth@hotmail.com. 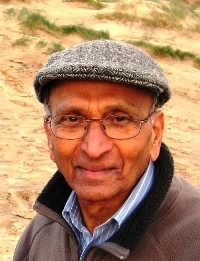 A Service of Thanksgiving for Hilary Rodrigues (husband of Agnes and father to Sandra, Sylvia and Ivan) will take place on:Wednesday, 10th September at 10.00 am. This will be held at the Catholic Church of Mary Immaculate St. Gregory the Great, Union Street, Barnet, EN5 4HZ. Please note that there is very limited parking at the church. Please try to park in the Spires Shopping Centre accessible via Stapylton Road. The Sat Nav address is EN5 5XY. As an alternative to bringing or sending flowers, may I ask that any donations are made to the Chipping Barnet Day Centre for the Elderly. Dad spent many enjoyable days there during the early stages of his dementia. Collection baskets will be available at the end of Mass only. After Mass, the funeral procession will depart for Trent Park Cemetery, Cockfosters Road, EN4 0DZ. It is anticipated that Dad will be laid to rest at approximately 11.45 am. 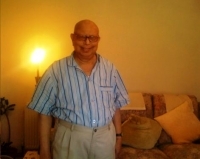 A celebration of Dad s life will be held thereafter at the Royal British Legion, Brookhill Road, East Barnet, EN4 8SL. Additional parking is available in the road opposite. We would like to invite you to join us for light refreshments. Please can I ask you to let me know by Sunday, 7th September if you anticipate coming in order that we can cater accordingly. Finally, on behalf of Mum, my sisters and brother, may I offer my sincere thanks to you for your continued prayers, comfort during our time of sorrow and helping us in many and helping us in many ways through expressions of love and friendship. It is with great sorrow that we bring the news of Sylvester Pais’s death on Monday 28 January 2013. 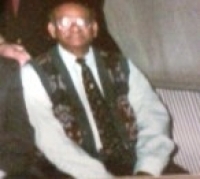 Sylvester Pais was a very active member of South Kanara Association, and made a huge contribution to the association during his time as Secretary in the 1990s. On behalf of the South Kanara Association London (SKAL), heartfelt condolences to Sylvester’s family during this difficult time. HEARTFELT CONDOLENCES TO BEN BARBOZA, LISHA AND JUNAL AND ALL THE FAMILY IN THEIR TRAGIC LOSS OF JACINTHA. MAY GOD GIVE THEM STRENGTH TO BEAR THEIR LOSS AND JACINTHA FIND ETERNAL PEACE AND HAPPINESS. Dearest Uncle Felli, Glen, Nigel, Fiona, Nadia, Bernard, Cecilia, Tony, Allwyn, Judy and our families offer our condolences and pray for the repose of Stella s soul. All the extended family members from Mangalore and Bombay are praying for her. May the Lord bless the family with strength in this time of bereavement. Our heartfelt condolences on the loss of dear Stella. Words are poor comforters in one’s grief but we pray that God give you strength to bear your loss and hope time will heal your sorrows. With much love love and sympathy. A Rose once grew where all could see sheltered beside a garden wall. And as the days passed swiftly by it spread its branches straight and tall. One day a beam of light shone through a crevice that had opened wide. The rose bent gently toward its warmth then passed beyond to the other side. That Rose was Stella. Now you Felix and your family who deeply feel the loss, be comforted - the Rose blooms there on the other side without its thorns.. Its beauty even greater nurtured by God’s own loving care. Sharing your sorrow and hoping it will help you to know that many hearts reach out to you in sympathy and love.